The Sapphire Coast of NSW has been called an unspoilt Coastal Wilderness for good reason. There are miles of unspoilt beaches and thousands of acres of national park along the coastline. This makes for an unforgettable encounter with nature. The main whale watching season is August to November, however recently they have been spotted as early as mid-July. The season peaks at the end of October, with the whale watching Festival in Eden. Merimbula, also known as “the jewel” of the Sapphire Coast, is a perfect central location to explore the many land whale watching locations in the area. Some of the most ideal whale watching vantage points are within easy walking distance from our Cabins. 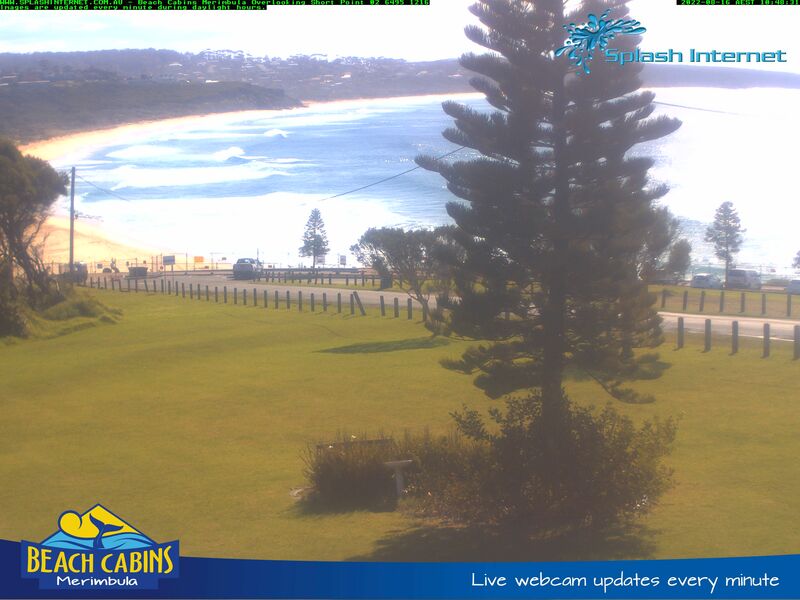 The first is either directly from our front lawn at Beach Cabins Merimbula or at the end of Short Point. Our elevated position allows you to see the whales at Short Point Beach or passing the headlands of Tura Beach and Short Point. The second is a large viewing platform at the end of Long Point. You can access either via an easy 2 Km walk from our Cabins or a short walk from the end of Cliff St. The third vantage point is from The Wharf Restaurant and Aquarium the views from here overlooking the bay towards Pambula are excellent and there are often sightings of whales close in. To get right up close to these magnificent mammals; you could also go on one of the whale watching cruises. Or you can hop on a boat at Merimbula Marina. Our guests can enjoy discounted cruises with both of these operators. The benefit of these cruises is that the whales are relatively close to shore. You should encounter whales within a very short space of time once out through the heads. Beach Cabins Merimbula has a special offer during whale season. This offer excludes school and public holidays and is based on a 3 night minimum stay.